Inglot Long & Curly Mascara / Gee Whiskers! Last week I did a review on the Inglot Colour Play Mascara and this week I'll review the Inglot Long & Curly Mascara. As you can see, the bristles of the brush are very short and packed closely together in a spiral shape. The shorter bristles help you get very close to the root of your lashes and coats each lash evenly with mascara. I get really great length when using this mascara and my lashes do curl up very nicely without the use of an eyelash curler. This mascara cost me R139 and has become my everyday mascara because It is such a great value for money mascara. 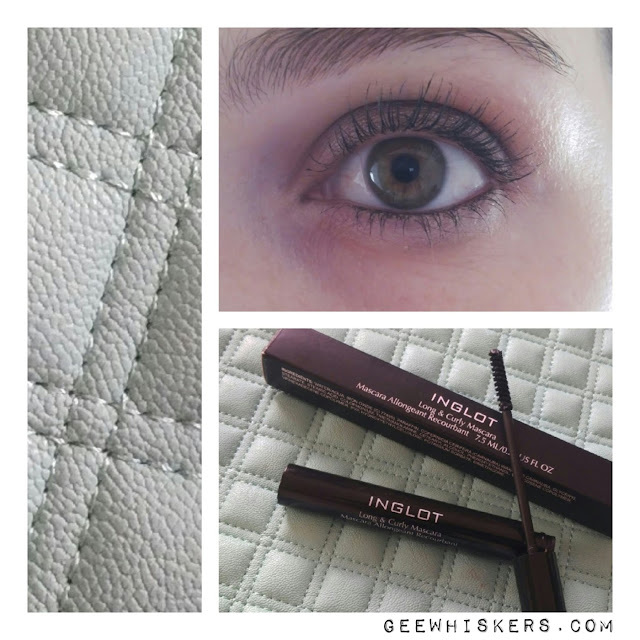 Inglot is becoming my preferred everyday makeup brand because the quality of the products are truly remarkable and the pricetag for many of the products is affordable. Wow - not clumpy at all! I like the look of this mascara! Doesn't clump at all. Really great mascara! WOW! This mascara looks so good on you. Thank you, you should give it a try. Your lashes are beautiful. Thanks for the review. I have been super curious about the Inglot makeup.